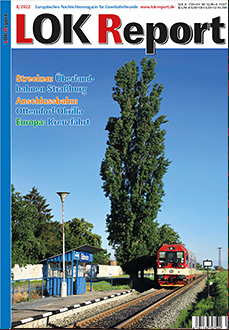 LOK Report is a European railways magazine in German language, published monthly by Lokomotive Fachbuchhandlung GmbH. 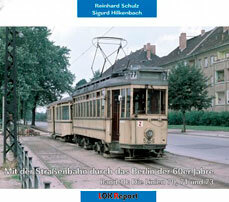 The editorial work of Lok Report is created on a voluntary basis, sales and production are done commercially. 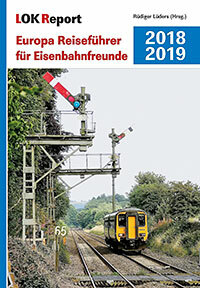 Additionally, LOK Report e. V. has published a series of books. Please look at our Books page. To our regret, there are no English pages available on our internet services. 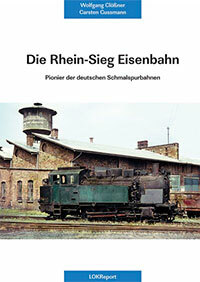 Please, enjoy with the German pages. Thank you for visiting LOK Report.